I am a big fan of Modern Family and Parenthood…good fun shows about family life…really just life in general. I have tried to get into Up All Night, but the humor seems a little overdone/forced. But after the most recent episode, I think I’m hooked. Besides the great line “diaper time’s hard enough without somebody jackin’ up your wipes”, in this episode, I realized that I share a lot in common with the mom. I am a bit crazy like her. I might prefer to call it “organized” but other people might call it having Obsessive Compulsive Disorder or Obsessive Personality Disorder. whatevs. Given an unexpected week off from work, she’s left at home and begins to reorganize everything (much to her husband’s dismay)…she even goes into her neighbor’s yard to pull weeds to bring order to her life now that she has time to notice the disorder. There are just some times when I can’t stand the disorder. A place for everything and everything in its place. 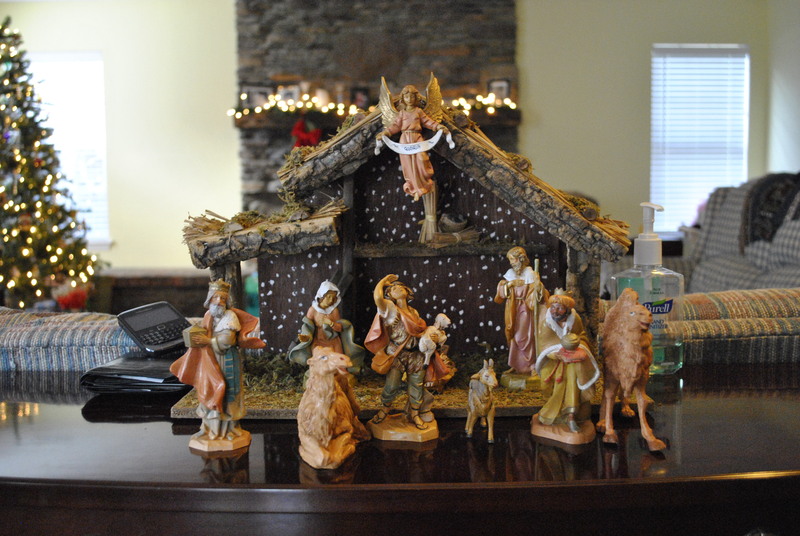 I loved setting up the Nativity every year when I was little. It was my job, and every year I set it up exactly the same way. Even when I was in college (heck, even last year). This year, I thought to myself, “what a fun tradition – I should let Taylor set up the nativities” (because I have a bit of an obsession and there are now many). She was excited and set them up very carefully. But when I walked past them, I couldn’t help but notice that nothing was in the right place. 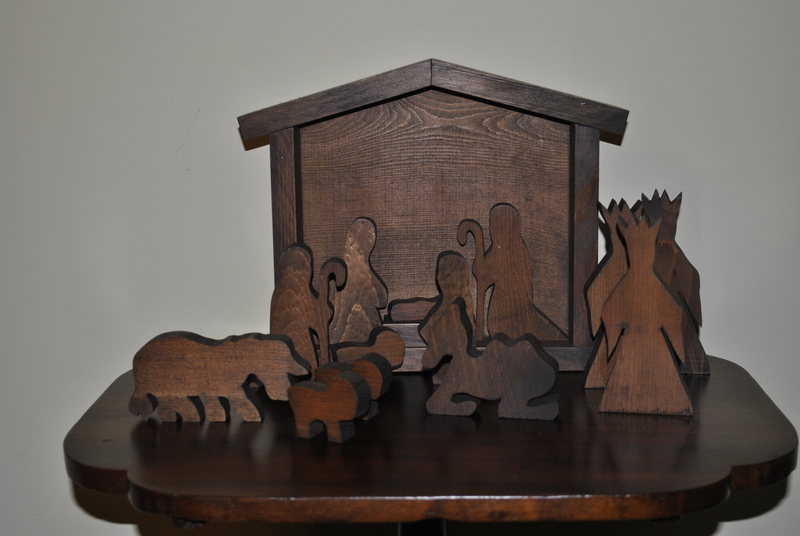 They weren’t symmetrical; the characters weren’t in biblically accurate places (ok, nevermind the fact that the shepherds and wisemen would not have been present at the same time…yada, yada). So I “fixed” them. Then as she was walking past one of them, she stopped dead in her tracks (much like I had just done), and sighed, “Uh, Caleb messed it up…I need to “fix” it.” I did come clean that it was me who rearranged the characters, even though it was very logical that Caleb would mess them up – he has been known to throw them around – and Taylor responded, “Mom, you should know better” and proceeded to re-re-arrange the characters. But I still couldn’t stand it – I mean, she put a shepherd where Joseph should be and then put the camels in front, so you couldn’t even see Jesus. It just wasn’t right. So now it’s a game. 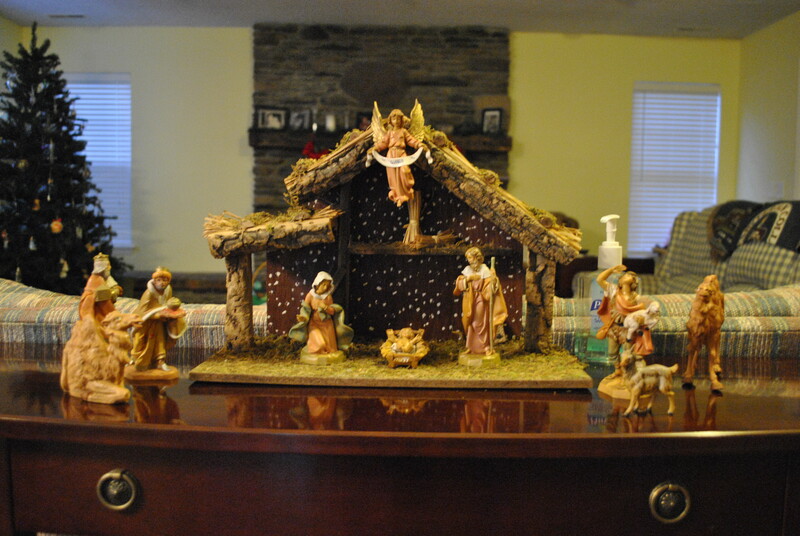 We both re-re-re-arrange the nativities each time we pass them and notice that they need to be fixed “our” way. Who do you think will win this game? 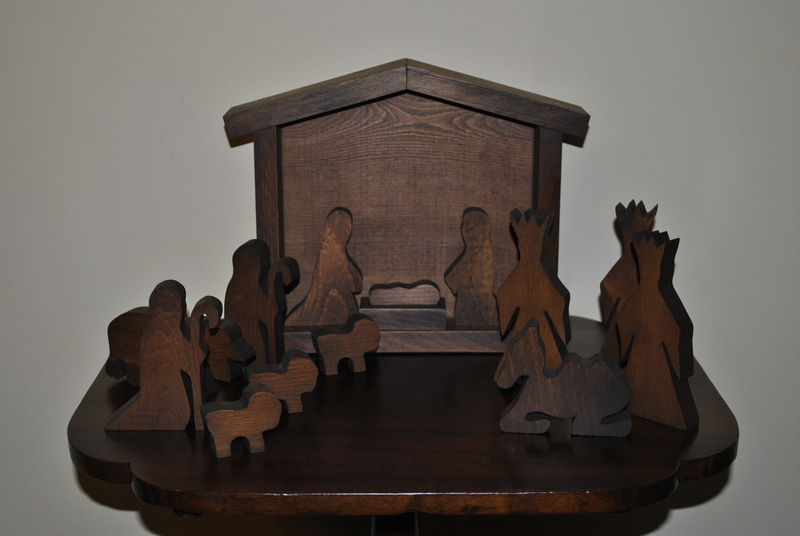 Leigh Ann makes a good point about how the shepherds and wise men would be standing … also in Taylor’s defense, her Little People nativity presents Joseph with a shepherd’s staff. That was her first nativity so she is going by that! Ryleigh likes to add a bright blue wrapped present to the nativity scene (loves to give baby Jesus presents like the wise men). 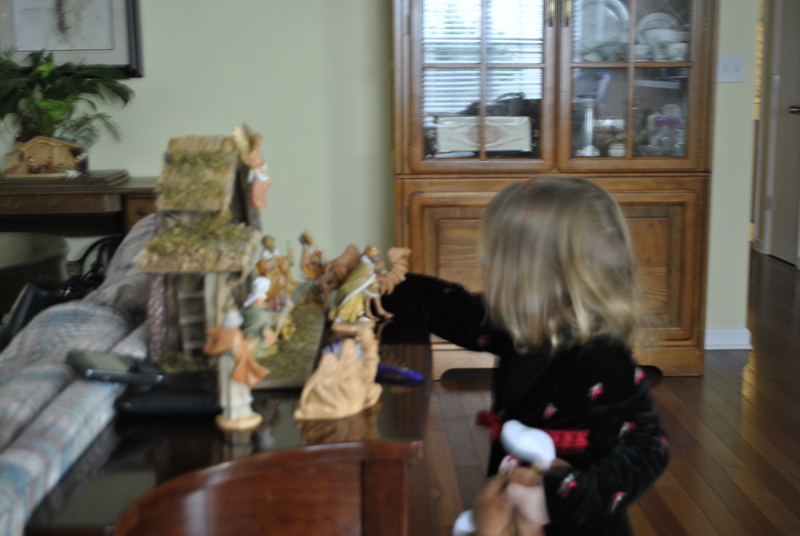 She also replaces the angel on top of the Little People set with a wise man or donkey. Who is to argue that a donkey wasn’t on top of the stable? !